The helper of every farmer! 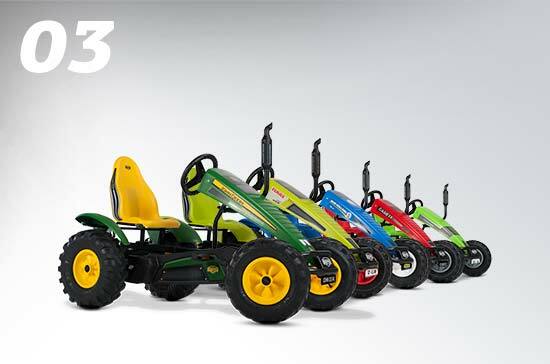 Almost all our large go-karts are available with different systems. You can choose either the BFR, BFR-3, E-BFR or the XXL-BFR system. BERG has four different frames available for the large go-karts. You can choose a frame with the BFR, BFR-3, E-BFR or the XXL-BFR system. BFR stands for: Break, Freewheel and Reverse. The BFR system allows you to brake using the pedals, but also reverse immediately after coming to a standstill. 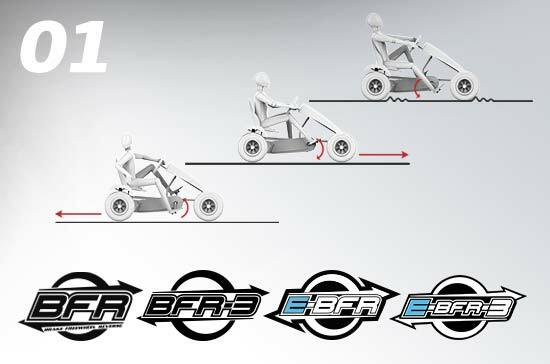 The BFR-3 system is the same as the BFR system except that this system is equipped with 3 gears, making go-karting even easier. 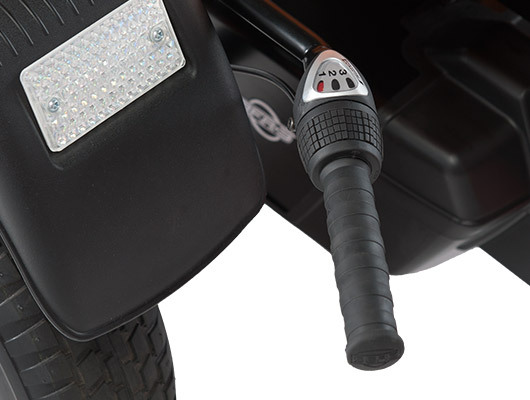 The E-BFR frame provides pedal support by means of a 250W E-Motor. The harder you pedal on this go-kart, the harder you go. The XXL-BFR system is specially designed for tall people. 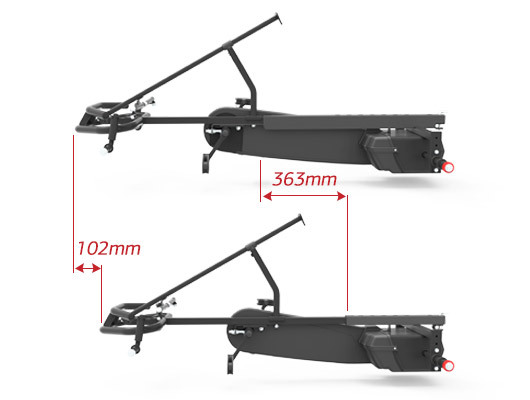 This Frame is 10 cm longer than the standard frame and has 2 extra seat positions. The BERG Farm are suitable for children from the age of 5. 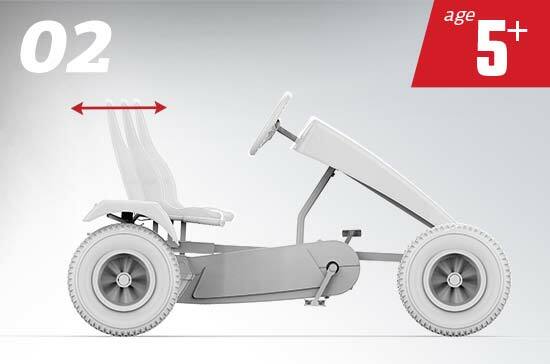 The go-karts are also suitable for adults due to the adjustable seat. The BERG Frame on the Farm is of excellent quality. 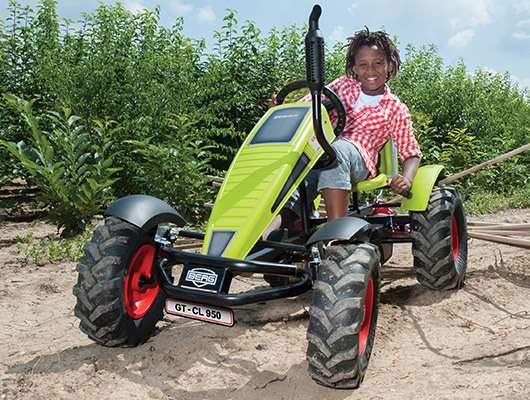 The quality is so good that the large go-karts are even suitable for professional use. 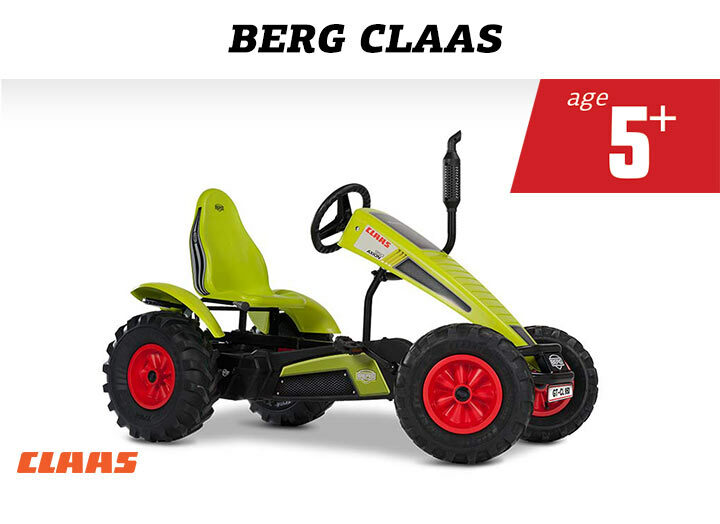 The BERG Farm are suitable for children from the age of 5, but also for adults, due to the different seat positions. The seat is very easy to adjust to the right position. It means you can get into the ideal position in the go-kart so that you can enjoy tearing around without any worries. Which tractor brand is your favourite? 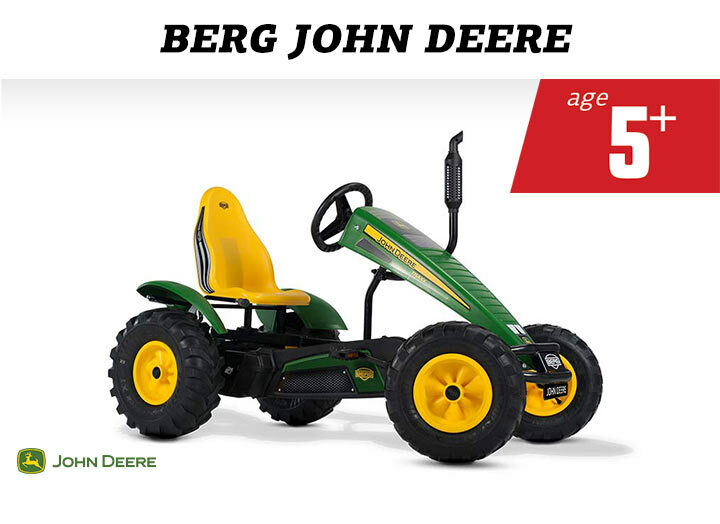 BERG has a licensed go-kart for many large tractor brands. Whichever brand you are a fan of, the chances are that BERG has a licensed go-kart of that brand! 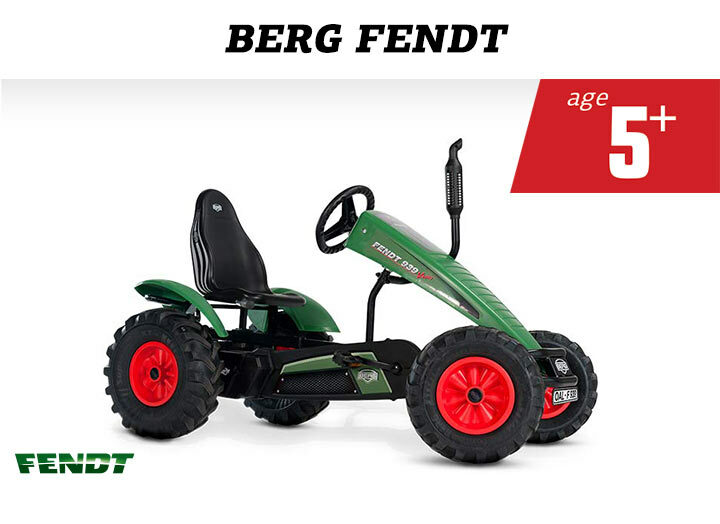 The range includes go-karts of John Deere, CLAAS, Fendt, Case IH, DEUTZ-FAHR and New Holland. 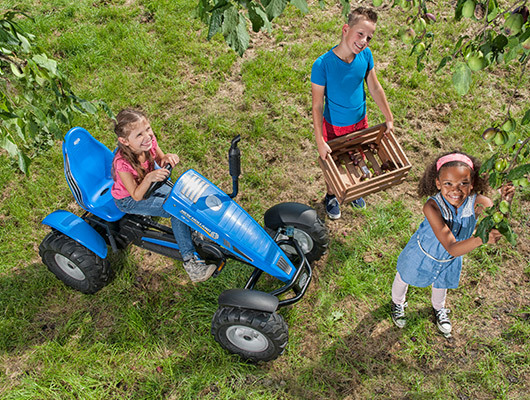 A Farm go-kart is not complete without an exhaust pipe and tractor tyres. 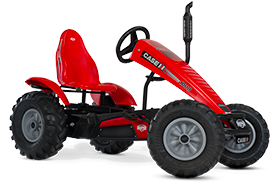 You can make the Farm go-kart even more like the real thing with the various accessories. All BERG Farm go-karts come equipped with an exhaust pipe and real tractor tyres. The registration plate is included. 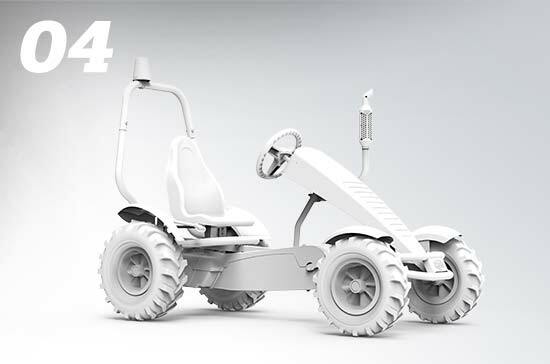 Do you want to make a real tractor of the go-kart? 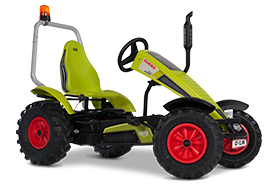 In that case there are various accessories available to make your go-kart complete, such as a lifting unit, a lift bucket, a bulldozer blade or a pallet fork. Which BERG Farm will you choose?